The Dutch horticulture sector is a leader in innovation and a global trendsetter. Through agricultural education, the Netherlands spreads and exchanges skills and knowledge. This section showcases the interaction between education and innovation in horticulture through display gardens and hands-on activities. The main focus is on the commercial horticulture industry, e.g. 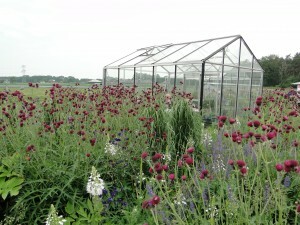 fruit, flower and vegetable production. There are three greenhouses in this themed section. The first one is a tropical display showcasing the work of Oxfam Novib in Myanmar in the rebuilding after cyclone Nergis and cultural exhibits by countries such as Ethiopia, Mexico, Gambia, Indonesia and Thailand. 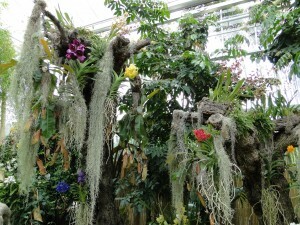 The amazing display of orchids showcases the Dutch Orchid Producers’ Circle. 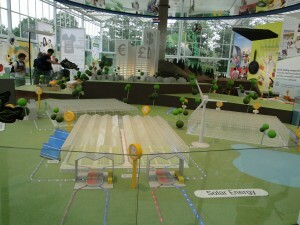 The second greenhouse is an interactive display showcasing the fruit and vegetable sectors with a kids cooking section and educational displays on pollination, nutrition, hydroponics, growing, recycling, mushrooms, regional and global food chains, sustainable energy sources, and packaging and marketing. A vegetable stand offers samples of vegetables such as various varieties of tomatoes, cucumbers and peppers. 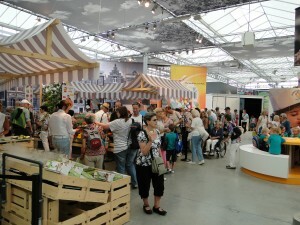 This display offers a comprehensive education about the Dutch vegetable and fruit industry. 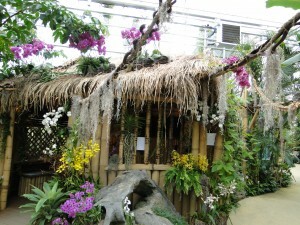 The third greenhouse is used as a restaurant, with a few small, individual greenhouses serving as personal dining area for a small group. The outdoor gardens showcase varieties of various fruits and vegetables in rows. 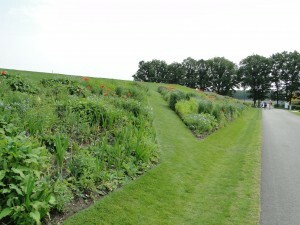 A section is devoted to “forgotten vegetables” in the Historic Vegetable Garden, where 650 forgotten vegetables are grown. Surrounding this themed section are three impressive berms with themed floral displays on each slope. The eastern slope is predominantly yellow and orange, the western slope is purple and pink and the central slope is blue and red. Espaliered fruit and ornamental trees can be seen in abundance throughout the Floriade Park.